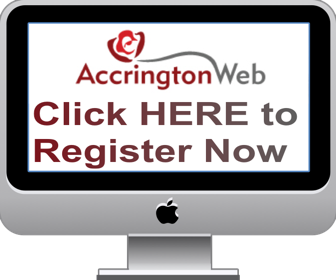 I have asked Accrington Library and the Family History Society if anyone is researching the branch of Whittakers who ran the works in Dowry St. In 1892, Thomas was mayor of Accrington and was a 'mover and shaker' in the town.I have something to tell them about Thomas, and will be giving something about him to the library. I am aware of a chap in Whalley who is interested in the various Whittakers who had businesses in the town a century ago, but don't know his name. me dad worked yon from after the war until early 70s when poor health took its toll, he also used to go down every night about 11-45 ish wi the dog n me when i was little,to start the furnace ready fer the mornings work. 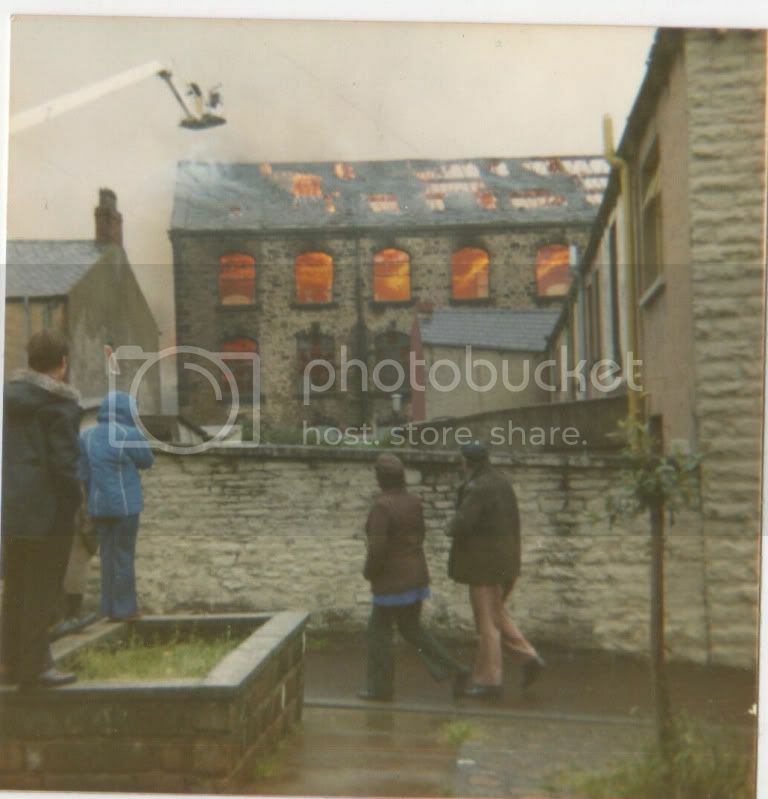 Was that the Whittakers which burnt down many years ago Bob, I think one side was on Burnley road. If so I posted a few pictures of it burning down a while ago. nah mate whittakers foundry was between Dowry St @ Maudsley St, i was brought up on both of those. 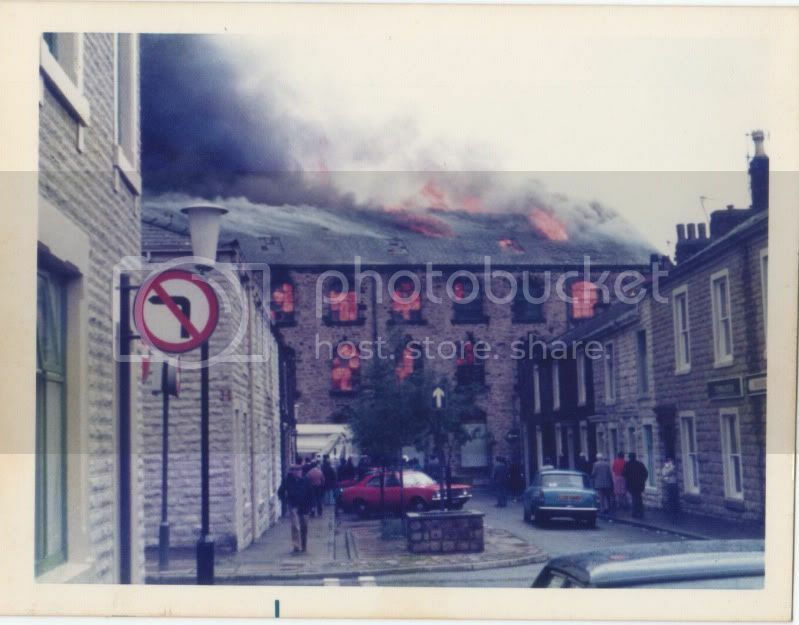 the photos I took of the fire from our house on Hood street must have been Whittakers then, I know the fireman had to shift a car outside the New Brewery to get the big turntable past. I had it in my mind that the building went right up to Burnley road. A lot of water has passed under the bridge since then and a lot of grog passed my lips. 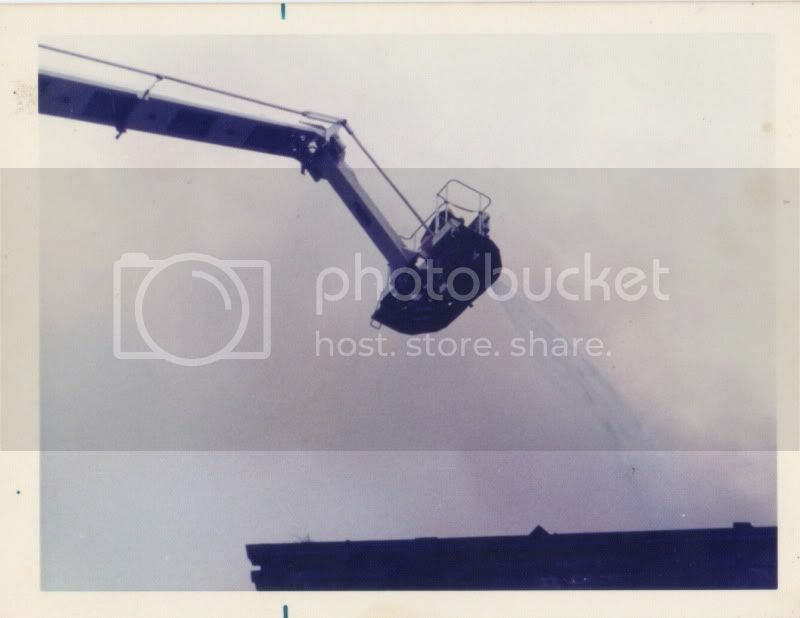 It was the Hydraulic platform not the turntable ladder, It were me who set it up and Fm Pickup was operating the monitor at the top, you can just see the rear end, before I put the stabalisers down. Great photo gremlin, thats the Maudsley St side, me mams house was 3 doors up on next block Dowry St side, bungalows are yon now. pub yeh can see from area photo was took was the Royal Oak, the New Brewery was opposite end of that block. aint sure mate,early 80s rings a bell? retlaw will probably know fer sure,he attended it. Sorry about that Walter.. I remember well that when the water was turned on the bit at the end of the hose fell off into the fire. A friend of mine had just gone off watch and decided to have a few pints instead of rushing back, remember Jerry Finch? I posted more photos earlier on in another thread about Whittakers and the dates are on it. The "turntable" as I called it is pictured below, it did swivel round on the base though. You are welcome to any photos I post Walter, as is anybody else. I don't know the year of the fire. I do know that the firm closed down in 1972. There is a very good essay on the family and the firm by Martin J Crossley Evans in the book 'An Accrington Mixture' which I edited and published in 1995. [quote=Gremlin;933145]Sorry about that Walter.. I remember well that when the water was turned on the bit at the end of the hose fell off into the fire. That were Penny Lickup, he didn't attach the monitor properly before he opened the valve. We recovered it intact after the fire. On the Lancashire Family History Society's Yahoo forum, a lady is telling about Thomas Whittaker's sons, Christopher & Thomas, who both married Haworth lasses from Ossie. I don't know if they were sisters. I am aware of a chap in Whalley who is interested in the various Whittakers who had businesses in the town a century ago, but don't know his name. Why does the name HAWORTH spring to my mind? Maybe I am just imagining it Bob? I bet Cath, ex Librarian, would help you on that.